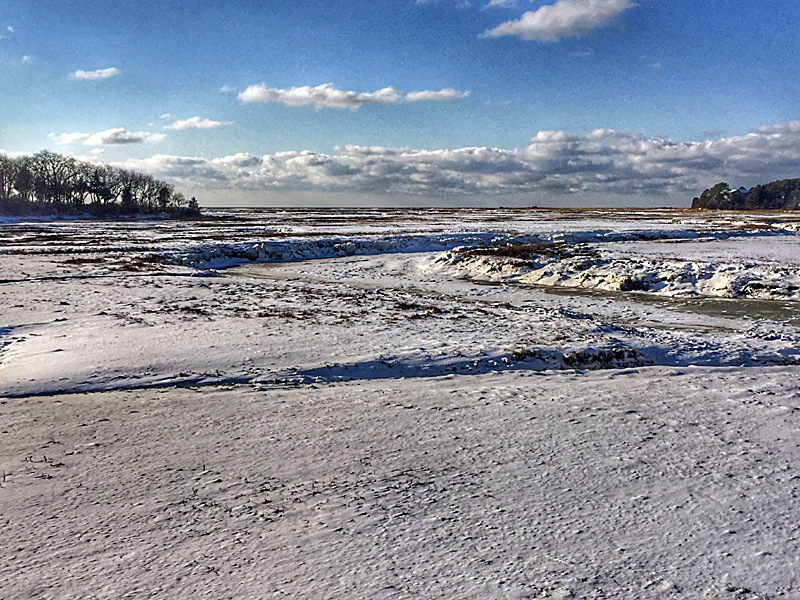 It Snowed Here On Cape Cod! 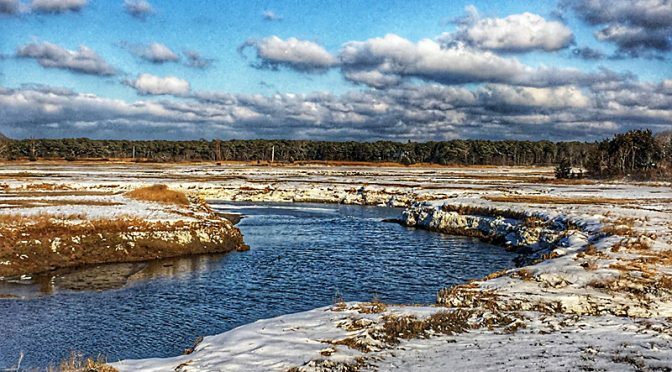 We’ve had very little snow this winter here on Cape Cod. Yesterday when we woke up , there was about 2-3 inches on the ground and I was hoping that the sky would clear and I could get a couple of “snowy” photographs. 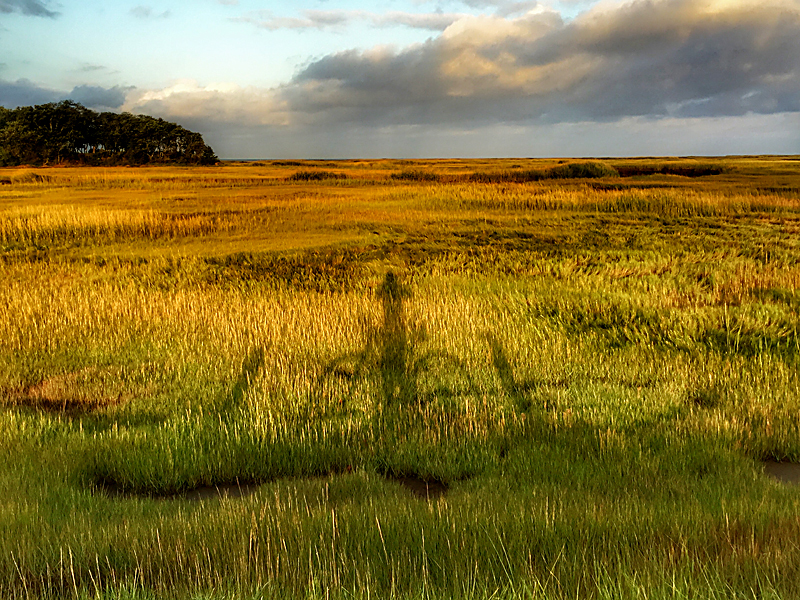 The Shadows Are Getting Longer On Cape Cod! 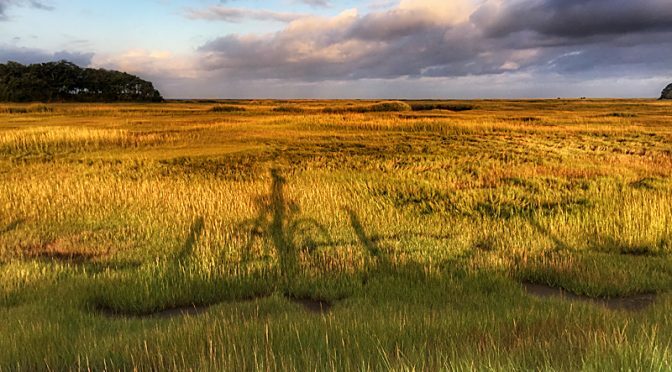 I was biking across the salt marsh a couple of days ago when I looked out and saw my shadow on my bike. 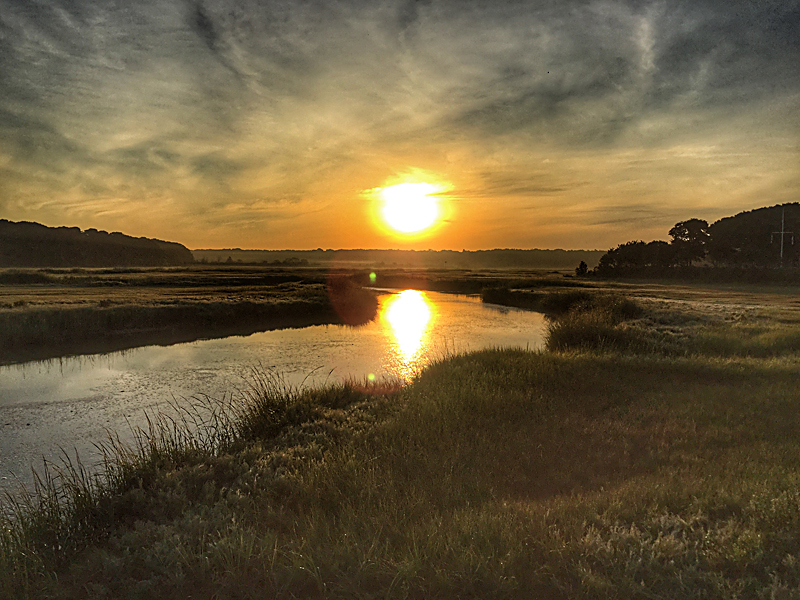 It was very long on the salt marsh. I stopped and thought that it might make a cool photograph. So I got my iPhone and took one. When I looked at it, I thought that something was wrong. I was facing the wrong way. You don’t ride a bike with your body facing sideways. So I maneuvered my camera while facing forward and this is what I got. And then I figured you’d get a good laugh when you saw my first one. Ha! I was walking home from the beach and had just crossed the bridge across the salt marsh when I heard some laughing. 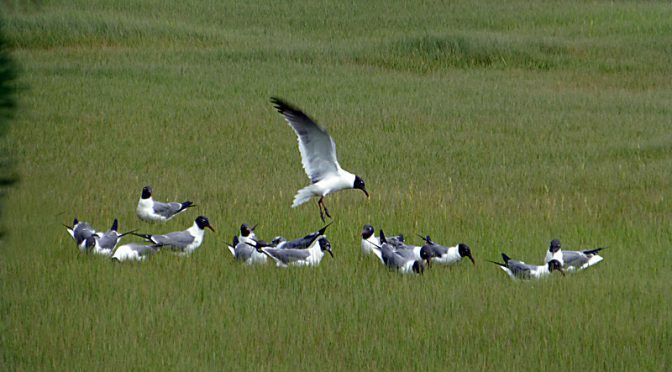 I looked out onto th marsh and it looked like there was a flock of Laughing Gulls having a party, flying in and out and just laughing. 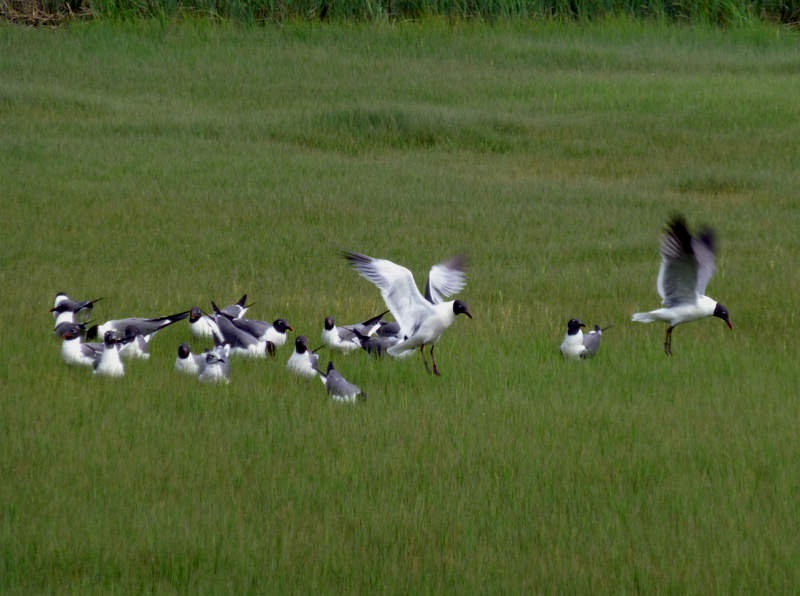 Have you ever heard a Laughing Gull? Besides being funny, they are really a beautiful bird. I love their black heads. What do you think? 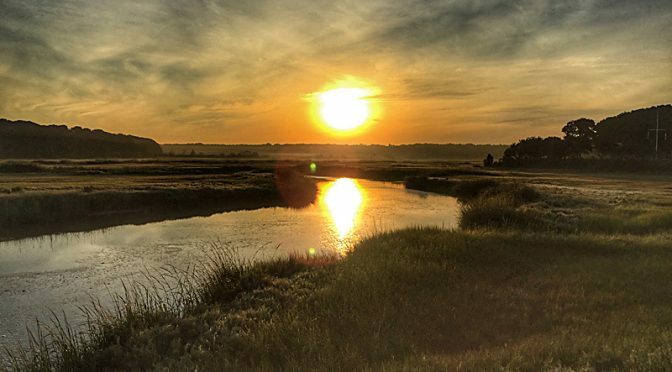 The days are getting a little shorter, so it is a little darker when I go on my morning bike ride. I have to leave at 6:15, instead of 6:00. 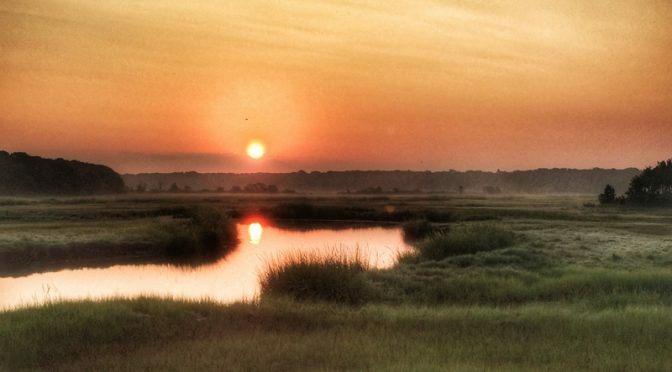 As I rode over the salt marsh, the sunrise to the east was just gorgeous! 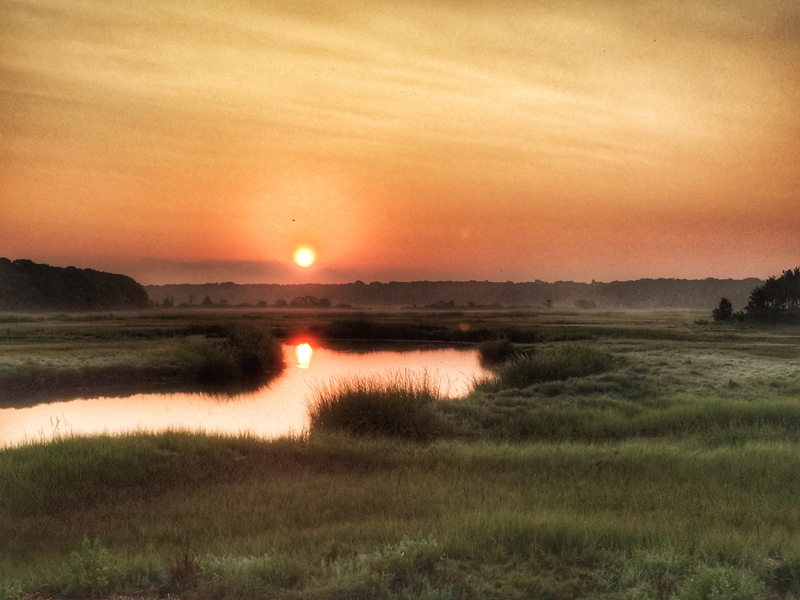 It’s been so hot, it even looks a bit hazy. 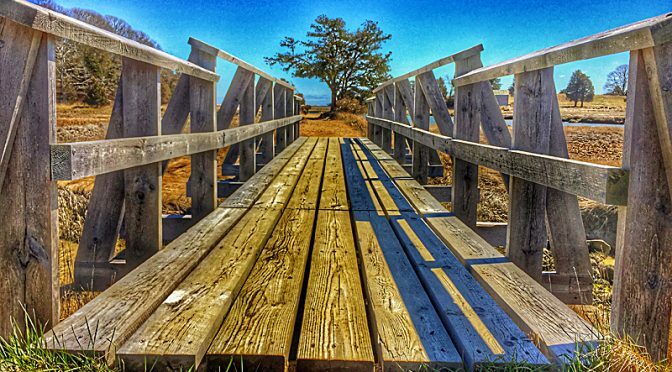 I love the bridge that goes over the salt marsh on Salt Pond Trail by the Visitor’s Center in Eastham. It’s such a great hike and always so pretty.